Epic Rap Battles of History is a series of comedic music videos on Youtube that feature rap battles between historical and pop culture figures. The series stars musicians EpicLLOYD and Nice Peter, and features incredible musical skill, and hilarious images. The series often takes characters that are similar in career, title, or personality, and pits them in a rap battle of wits against each other. This particular track takes one of the world’s most famous scientific educators in Bill Nye the Science Guy, and pits him against the man who discovered gravity, Sir Isaac Newton. 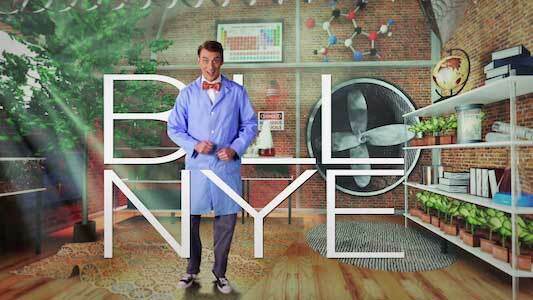 Bill Nye wears black high top chucks in the battle of scientific minds. The track starts out very sparse during the introduction, but the beat picks up as Newton delivers his verse. His rhymes are rapid as he only stops to state his “FIRST LAW”. These lyrics contain a lot of scientific terms and lingo. Nye’s verse is very soft, and inviting, much like his TV persona. Newton very much outclasses Nye in his delivery and content, so modern day astrophysicist Neil Degrasse Tyson comes in after Newton’s second verse to steal the show. Tyson is definitely the clear cut winner here, as he shows up both Newton and Nye in this battle of scientific know how. Nice Peter nails Nye’s wacky facial expressions. The video features Newton rapping in front of the famous apple tree that gave him the inspiration for the theory of gravity, and Bill Nye raps in front of his famous studio set. 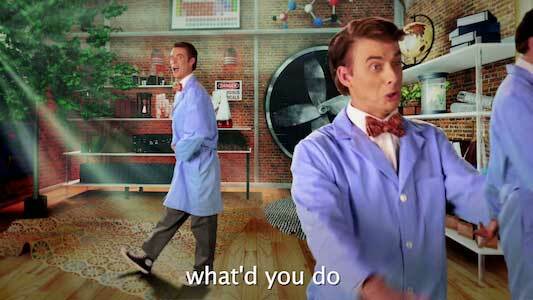 Bill Nye is portrayed by Nice Peter, and Sir Isaac Newton is played by special guest Weird Al Yankovic . There are a lot of fun references and gags to the classic Bill Nye the Science Guy TV show, such as the rotating head on the television. Neil Degrasse Tyson is played by Chali 2na, and his entrance is pretty epic as he enters with a beautiful cosmic background. Bill Nye turns into his hypeman, and Tyson’s mannerisms are pretty spot on. 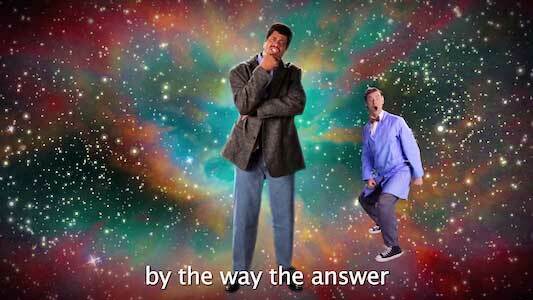 The Science Guy gets backup in the form of Neil Degrasse Tyson. Get yourself a new pair of chucks to pursue science in by clicking on the links below.